We’ve all been there. Someone has just asked you a question about something quite simple, but your mind goes blank. Or perhaps someone has just come up to you and he obviously recognises you, but you don’t recognise him. Those moments are awkward and difficult to overcome. Yet you can’t simply avoid people in order to never lose face. 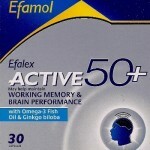 Instead, you might consider taking a mind supplement as a way to overcome your mental deficiencies. 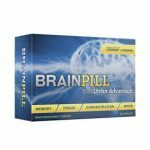 These nootropics, as they’re generally called, might just do the trick and help you avoid those difficult moments. 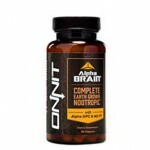 Yet most of the ingredients in nootropics seem to be so technical and almost foreign. While we were searching for a more natural and perhaps unique nootropic, we happened upon the company Pomology. The company Pomology is run by Bullwater Health and Fitness, a natural supplement company. The Bullwater Health and Fitness company is carbon free, their products are nearly all vegan, and they try to be as environmentally friendly as possible. The unique thing about the company is Pomology is that they aim to harness the power and nutritional prowess of fruit and vegetables. The name ‘pomology’ comes from the fruit pomegranate, which is a key fruit for the company. Pomology creates supplements for a variety of ailments, including heart, joint, prostate, and mind health. 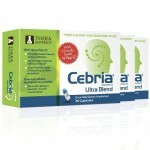 We’re interested in the mind health formula in order to achieve natural relief from our murky minds. 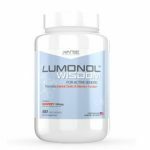 Pomology Mind is a supplement that targets your brain, and aims to stimulate and maintain your ability to think, process information and maintain memories. Pomology Mind acts as food for the brain by combining science and nature in order to provide the strongest effect on your mind. 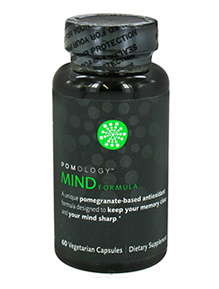 In order to really get to know more about Pomology Mind, we really need to learn more about its formula. One important group of ingredients in Pomology Mind are vitamins. 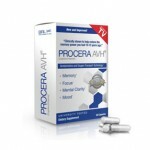 Pomology Mind includes vitamin B12 and folic acid. Vitamin B12 is a vital vitamin for humans and it can only be found in animal products. It is vital for the function of our central nervous system and deficiencies can occur in certain populations such as vegans or for those with certain digestive issues. Therefore for these population groups, taking a B12 vitamin is wise, although our bodies are only able to absorb a certain amount. The amount in Pomology Mind is more than enough and in fact you might even expel some of the left over amount. Another ingredient in Pomology Mind is folic acid, which supports cell function and tissue growth, and ginkgo biloba, which is known to improve blood flow to the brain. 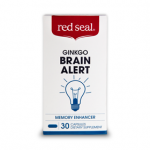 Ginkgo biloba also acts as an antioxidant and may protect our minds from damage due to ageing. Also included is acetyl l-carnitine (ALCAR), which is an amino acid that spurs on the production of energy in the mitochondria of cells. ALCAR is useful for the function of our brains, hearts, muscles, and numerous other bodily processes. 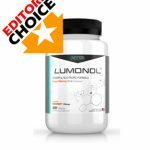 Together with choline bitartrate, which is a natural nutrient that is a precursor to the neurotransmitter acetylcholine, both these ingredients support mental capacity and strengthen emotional health. 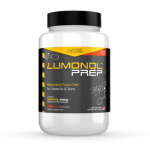 Other less commonly known ingredients included docoshexaenoic acid, or DHA, which is a vital omega-3 fatty acid that is necessary for efficient mental function and a strong nervous system. Supplementation is important for vegans and vegetarians, and in all honestly, supplementation for most people would be a healthful thing to do. One more interesting ingredient is ashwanganda, which is a plant whose roots and berries are used to make medicine. 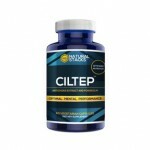 It is used as an adaptogen to aid us in making it through a stressful day. It may also be used to improve thinking. 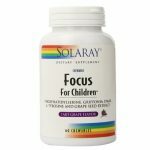 For the first few weeks of testing, we did get reports from our users about improved focus and long-lasting concentration. By the third week, however, testers stopped feeling any sort of results and needed to increase their dose in order to see any results. This was quite disappointing as we had high expectations from this product. One great aspect of Pomology Mind is that we did not find any major side effects. Other than the occasional headaches experienced by some of our testers, we have nothing to complain about. It is important to understand that the use of cognitive enhancing supplements typically does lead to minor side effects such as headaches or nausea because our brains are being affected. 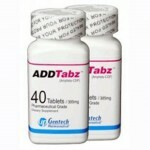 The effects typically do not last and are not damaging. A bottle contains 60 capsules and only costs $24.95. This price is strangely cheap as smart pills with a decent nootropic stack typically cost between $40-50 for a month’s supply. However, we realize that the recommended daily dose is 2-4 capsules, meaning that the bottle may last you half a month to a month. 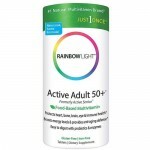 Overall, the supplement appears to be trustworthy and may in fact be useful. That fact that the company aims to be as natural as possible is admirable and attractive for many people. If you’re interested in a more natural approach, then Pomology Mind might just be for you.